McFeat, Tom. "Wolastoqiyik (Maliseet)". The Canadian Encyclopedia, 10 October 2018, Historica Canada. https://www.thecanadianencyclopedia.ca/en/article/maliseet. Accessed 20 April 2019. Wolastoqiyik (also Welastekwewiyik or Welustuk), meaning “people of the beautiful river” in their language, have long resided along the Saint John River in New Brunswick and Maine, and the St. Lawrence River in Quebec. Historically, the Europeans referred to the Wolastoqiyik by a Mi’kmaq word, Maliseet (or Malecite), roughly translating to English as “broken talkers.” The name indicates that, according to the Mi’kmaq, the Wolastoqiyik language is a “broken” version of their own. Today, there are six Wolastoqiyik Maritime communities in Canada and one in Maine. In the 2016 census, 7,635 people identified as having Wolastoqiyik ancestry. 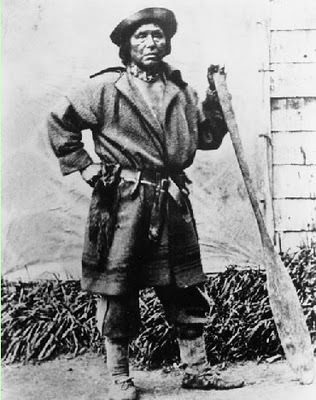 Gabriel Acquin, Welastekwewiyik (Maliseet) hunter, guide and interpreter (circa 1866). The Wolastoqiyik have always lived in the Saint John River valley in New Brunswick and Maine, upward toward the St. Lawrence River in Quebec and westward into present-day Aroostook County, Maine. The traditional lands and resources of the Wolastoqiyik were bounded by their allies: the Mi’kmaq to the east; and the Passamaquoddy and Penobscot to the west. In the 2016 census, 7,635 people identified as having Wolastoqiyik ancestry. The total registered populations of Wolastoqiyik First Nations in Canada as of July 2018 are: Kingsclear (1,042, with 732 living on reserve), Oromocto (707, with 321 on reserve), Madawaska (374, with 153 on reserve), Saint Mary’s (1,927, with 878 on reserve), Tobique (2,479, with 1,558 on reserve) and Woodstock (1,074, with 290 on reserve). Historically, the Wolastoqiyik were hunters and fishers, but they eventually also cultivated maize (corn), beans, squash and tobacco. To supplement their diet, women picked nuts, berries and fruits. 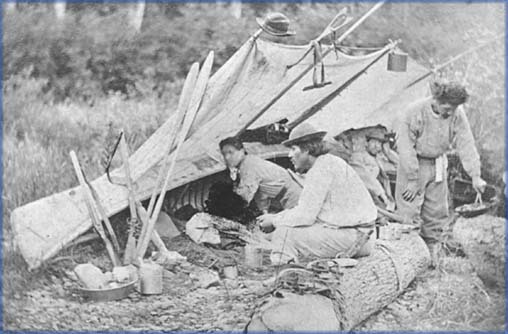 The Wolastoqiyik have a rich cultural heritage, similar to that of the Passamaquoddy, Mi’kmaq and Penobscot. Well-known for their artistry — including carving, quillwork, beadwork and basket-weaving — the Wolastoqiyik have created priceless pieces that speak to their history, spirituality and culture. Drumming is another important element of Wolastoqiyik culture. Used at a variety of ceremonies and celebrations, the music of the drum unites the community. The Wolastoqiyik language (still often referred to as Maliseet or Malecite) is considered part of the Eastern Algonquian language family, which also includes the languages of the Mi’kmaq, Abenaki (in Quebec), and Passamaquoddy and Penobscot (in Maine). The Wolastoqiyik and Passamaquoddy languages are very similar, with minor differences in vocabulary, pronunciation and accent; consequently, their languages are often collectively referred to as Maliseet-Passamaquoddy. According to Statistics Canada (2016), there are about 350 Malecite (Wolastoqiyik) speakers in Canada who identify the language as their mother tongue. In the 2001 census, that number was higher (825), demonstrating a decline in the language. Wolastoqiyik communities are working to preserve and promote their endangered language through various initiatives, including a program of scholarship on the Maliseet-Passamaquoddy language at the Mi’kmaq-Wolastoqey Centre at the University of New Brunswick	in collaboration with the native speakers. Wolastoqiyik origin stories tell the tale of Gici Niwaskw, the “Great Spirit” or Creator. Sometimes referred to as Weli-Niwesqit or Woli-Niwesqit — meaning “Good Spirit” in Maliseet-Passamaquoddy — the Creator is a benevolent and abstract being, who does not directly interact with humans. As in other Algonquian tales, the Great Spirit in Wolastoqiyik stories is rarely personified, and oral legends did not assign the Creator a gender. 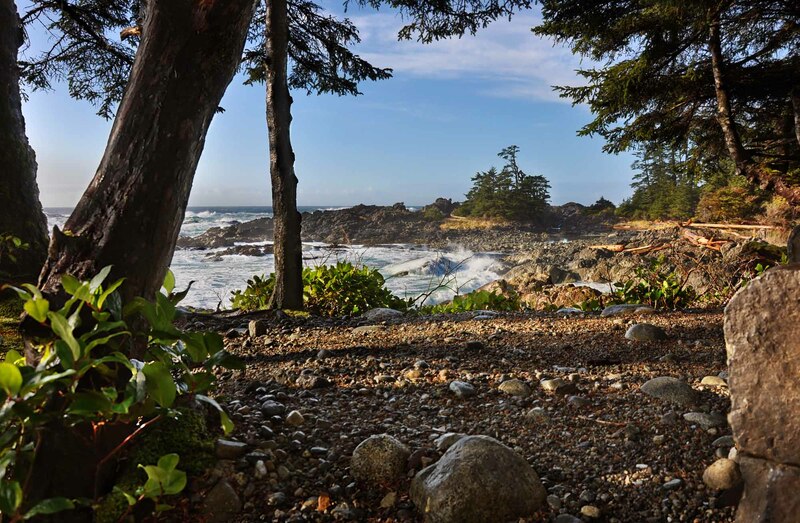 While Gici Niwaskw is said to have created the entire world, the details of maintaining and transforming or taming the landscape was given to the cultural hero, Gluskabe. Gluskabe (Glooscap or Klusklap) figures importantly in many Wabanaki and Wolastoqiyik tales. There are various versions of the story, depending on the nation. According to most Wolastoqiyik tales, Gluskabe is not a god, but a hero and a trickster who had supernatural powers and used them to manipulate the world around it, making it more habitable for the humans. For example, he tempered the winds, tamed wild animals and managed the waters. In some Wolastoqiyik legends, Gluskabe’s older, but physically smaller, brother Mikumwesu accompanies him on his adventures. The stories of Gluskabe and other cultural figures, including his grandmother, evil twin brother and more, have been passed down from generation to generation, often through oral tradition. Contact with European fishermen and fur traders in the early 17th century developed into a stable relationship which lasted for nearly 100 years. (See also Fur Trade.) Fort La Tour, built on the Saint John River in the early 1600s, became a centre for trade and cultural exchange. 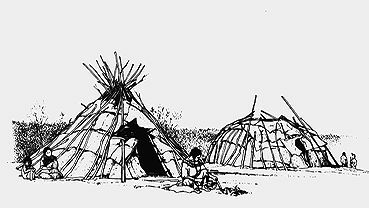 Despite devastating population losses to European diseases, the Wolastoqiyik held on to coastal and river locations for hunting, fishing and gathering, and concentrated along river valleys for trapping. As hostilities between the French and English in Quebec and Port-Royal intensified during the mid- to late-1600s, sporadic fighting and raiding increased on the lower Saint John. These conflicts hampered the success of the eastern fur trade. To ease the economic burden during this time, Wolastoqiyik women began to farm and raise crops which previously had been grown only south of Wolastoqiyik territory. Men continued to hunt, though with limited success, but they proved useful military allies to the French against the English during the late 17th and early 18th centuries. (See also Iroquois Wars.) Intermarriage between French settlers and Wolastoqiyik only reinforced their alliance against the English. With the gradual cessation of hostilities in the first quarter of the 18th century, and with the beaver supply severely diminished, there was little possibility of a return to traditional lifeways. Indigenous agriculture on the river was curtailed by the coming of European settlers; all the farmland along the Saint John River, previously occupied by Wolastoqiyik, was taken, thereby displacing the Wolastoqiyik. 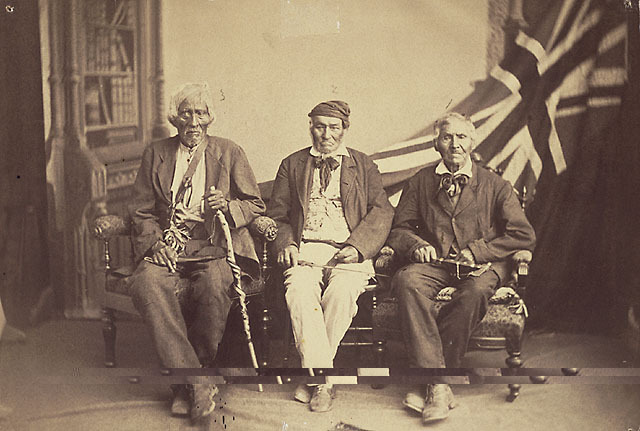 After years of being pushed off their traditional territories, the Wolastoqiyik were forced onto reserves during the 19th century at Oromocto, Fredericton (St. Mary’s First Nation), Kingsclear, Woodstock and Tobique. There are six Wolastoqiyik Maritime communities in Canada: Madawaska, Kingsclear, Oromocto, Saint Mary’s, Tobique and Woodstock. They also have one in Maine: the Houlton Band. 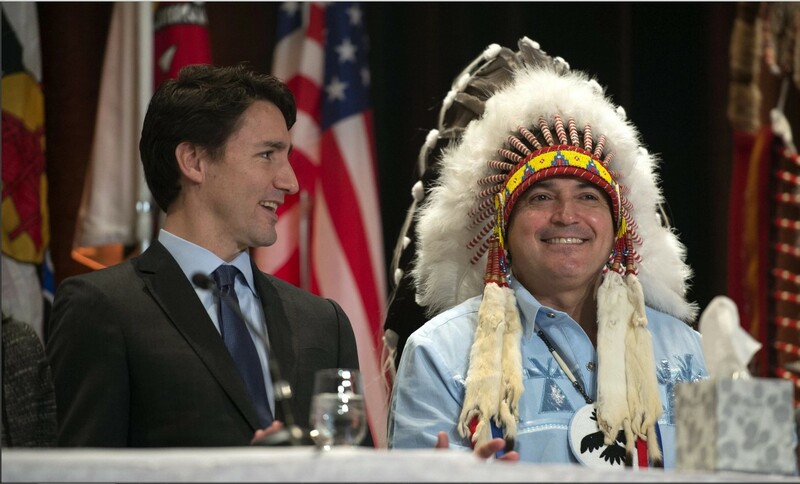 However, there is no one organization that represents the Wolastoqiyik politically. Wolastoqiyik First Nations actively pursue land claims, manage resource allocation (fuel, forestry, fishing and the like), participate in organizations for pan-Indigenous causes and support on-reserve businesses, including retail stores, gaming centres, gas stations and more. A.G. Bailey, The Conflict of European and Eastern Algonkian Cultures, 1504-1700 (2nd ed, 1969); H.F. McGee, ed, The Native Peoples of Atlantic Canada (1984); W. Mechling, Malecite Tales (1914); W.D. and R.S. Wallace, The Malecite Indians of New Brunswick (1957). Philip S. LeSourd, ed., Tales from Maliseet Country: The Maliseet Texts of Karl V. Teeter (2007). David Francis, and Robert M. Leavitt, A Passamaquoddy-Maliseet Dictionary (2008). Stephen Augustine, Mikmaq & Maliseet Cultural And Ancestral Material: National Collections from the Canadian Museum of Civilization (2006). A.G. Bailey, The Conflict of European and Eastern Algonkian Cultures, 1504–1700 (2nd ed, 1969). TobiqueSite Web de la Première Nation Tobique (en anglais). WoodstockSite Web de la Première Nation Woodstock (en anglais). OromoctoSite Web de la Première Nation Oromocto (en anglais). KingsclearSite Web de la Première Nation Kingsclear (en anglais). St. Mary'sSite Web de la Première Nation St. Mary's (en anglais).